"My father needed a break; managing Real Madrid is hard"
Calm and reserved, Enzo Zidane, speaks to AS from Madrid about Zinedine Zidane, Real Madrid, Rayo Majadahonda and his ideal eleven. 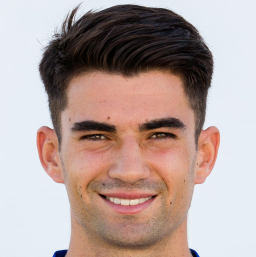 Enzo Zidane sat down to speak with AS from Madrid and spoke about everything going on in his career, his father, Real Madrid and more. 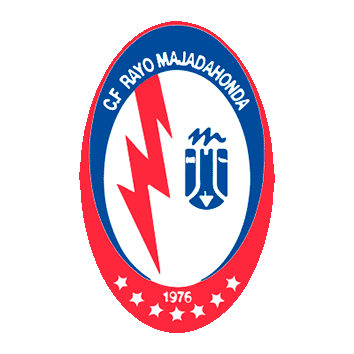 Why did you decide to go to Majadahonda? "I was looking for a manager who had confidence in me, who gave me opportunites and knew me. I spoke with some and the day I spoke with Antonio Iriondo I had a good feeling, that told me it fit with what I wanted." How's the mood in the dressing room and how is working with Antonio Iriondo? "There's a very good vibe and an incredible group. We all get on very well and you see that on the field. With Antonio he works a lot and we talk a lot about football. He loves taking care of the ball, which is what all of the players on this team likes." What are your objectives this season? "As always, to improve and to be a better football. To learn and to be the best Enzo possible to help the team." You crossed paths with Llorente, Mariano and Reguilón, how do you see their steps into the first team? "I'm really happy for them. Every time you see a teammate growing and those you have lived nice moments in the highest points, you are very happy. And I always with them the best." Do you think your exit from Madrid was good to keep growing? "All of the experiences as a player are good. The moments I lived at Madrid were very nice and I learned a lot. I lived through some complicated times, as well as my time with Alaves like with Laussane in Switzerland, and they have helped me." How do you remember your time at Madrid? "I have lovely memories there. I got to know all the stages of growth, from being eight until Castilla and to debut with the first team which is something the whole world dreams of. I could achieve lots of dreams there and now I have to do it in other places." How was it to share a dressing room with your dad? "At the start, it was a bit weird, but later I got used to it. It was always two and a half years and in the end you have a relationship like a player and manager and after at home, it's father and son." Will you dad return to coaching? "We all know that my dad loves football and he loves being a manager. For sure, he will be back again. It's his decision. Now, he is taking advantage of the rest that he needed because at the end, Madrid is lovely and all but hard, with a lot of work." "Nobody expected it. Neither did I. He decided to go and he is going well. He is missed but Madrid is a big club and without Cristiano, I don't doubt they'll adapt to do great things." Who do you think should win the ballon d'Or? "Luka Modric. For me, he is an example and my favourite player. He is a great guy and he deserves it for all of these years, in which he has won three Champions League and he has earned it. He had a great World Cup too." "The one by Andre Agassi." "I will say Spanish food so they don't get mad." Voy a decir la española para que no se cabreen. Keylor Navas; Marcelo, Ramos, Varane, Carvajal; Toni Kroos, Modric, Kanté; Cristiano, Messi, Benzema. 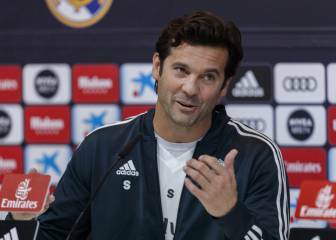 Solari responds to Asensio: "All of us have to carry the team"